Women of the Weeping River directed by Sheron Dayoc won 6 awards at the Gawad Urian Awards 2017 held at Dolphy Theater of ABS-CBN Network in Quezon City on July 20, 2017. Dayoc won as Best Director and Sharifa Pearlsia Ali-Dans for Best Supporting Actress for the same film. 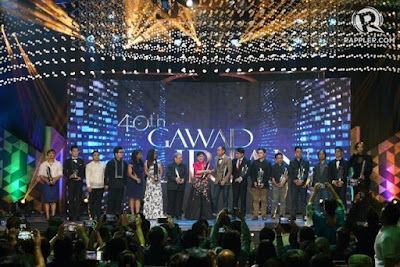 Paolo Ballesteros and Christian Bables won as Best Actor and Best Supporting Actor respectively for Die Beautiful, while Hasmine Kilip won as Best Actress for Pamilya Ordinaryo.